Tomorrow is the first of the month which is a pretty fun day around here. It means we will see a TON of new coupons. It also means that many of the really awesome coupons we have right now will no longer be available to print. 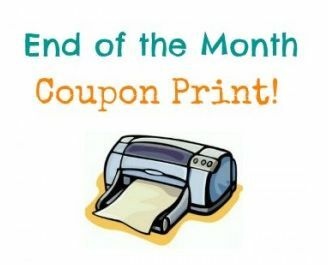 To make the most of the coupons, print these coupons now. You can print (2) copies of each coupon (refresh the page after printing the first set). Some may even reset tomorrow which means you can print them again. That gives you (4) copies total.